National security, health and engineering solutions company Leidos announced Sept. 30 that the company has been awarded a task order by the Dept. of Veterans Affairs (VA) to provide support to assist the VA in executing the OneVA Enterprise Architecture (EA) program. 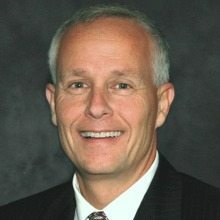 “We’re proud to support the VA with its OneVA Enterprise Architecture program, designed to serve as a strategic planning and management tool that helps VA’s leadership chart the course for the Department’s transformation into a 21st century organization,” Group President of Leidos Health Steve Comber said. The single-award, firm fixed-price task order has a one-year base period of performance, two one-year options and a total contract value of approximately $25 million if all options are exercised. Work will be performed in Washington, D.C. Under the contract, the Reston, Va-based company will perform analyses of VA business processes, organizational structures and information technology (IT) to help the VA develop and implement the OneVA EA program. Leidos will also provide data collection and analysis services; review and support portfolio management efforts; assist in the formulation and capture of business IT plans and policies; and participate in the execution of enterprise architecture in support of VA enterprise transformation efforts.